Optimae LifeServices begins offering services in Black Hawk County. Optimae LifeServices launches Optimae Rehabilitation Services division, opening in Des Moines Iowa’s first outpatient rehabilitation clinic to specialize in providing occupational therapy to individuals with mental illness and intellectual disabilities. Optimae Home Health Services in Southeastern Iowa earns CHAP accreditation for the first time. Optimae LifeServices celebrates its 30th anniversary of providing services to individuals with disabilities and mental illness in Iowa. Optimae Home Health Services in Central Iowa receive a three-year CHAP re-accreditation. Chief Operating Executive Rod Hotek retires and Optimae President William Dodds is named president and CEO. A new leadership structure is adopted with the creation of three chief operating officer positions to oversee Central Iowa, Optimae services and business operations. Optimae expands its microbusinesses outside of Central Iowa with the opening of the Coal Palace Cafe and Books in Ottumwa. Optimae launches two new microbusinesses in Central Iowa: Railroad Bill’s Dining Car in Des Moines and Brick Street Bakery in Adel. Its microbusinesses expand to employ nearly 100 individuals with mental illness and disabilities. Optimae Behavioral Health Services adds in-house medication management to its list of services with the hiring of prescribers in Central and Southeastern Iowa. 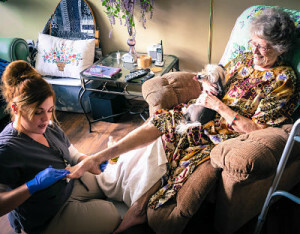 Optimae LifeServices takes over service provision from Healthy Connections in Lucas and surrounding counties. Optimae LifeServices acquires the Story Community Life Program in Story County and restarts jail diversion services, which then expand into surrounding counties. Optimae LifeServices expands Optimae Home Health Services into Central Iowa. Optimae LifeServices begins offering services in Marion and Mahaska counties. Optimae LifeServices significantly expands its behavioral health program in Central Iowa. Optimae LifeServices expands Davis Center from a 25 to 32 bed facility. Optimae LIfeServices opens a second Raccoon Forks Farm in Runnels to provide additional employment and support to customers in Polk County. Optimae LifeServices creates Dovetail Business Services to provide business services to Optimae and other health and human service providers. The business was later consolidated with Optimae in 2014. Optimae LifeServices opens Brick Street Books and Café in Adel to provide additional employment and support to customers in Dallas County. ResCare rebrands itself Optimae LifeServices to better reflect the services it offers. ResCare creates five regions (Central Iowa, Great River, Mississippi River Bend, Old Capitol and Southern Prairie) overseen by regional directors. A core leadership team of regional directors and senior management is created to oversee the company. Habilitation, supported employment and home and community based services begin in Johnson County. President William Dodds and Chief Executive Officer Rod Hotek purchase a majority of stock ownership in ResCare and take over management of the company. An updated structure and senior management team is created. ResCare acquires a home health care agency and begins its home health services under the Nurse in the House brand name, which later becomes Optimae Home Health Services. ResCare’s mission, vision and core values are revised to better represent present and future company operations. ResCare acquires its central office at 301 West Burlington Avenue in Fairfield, Iowa. Fulton Place, a 22-unit low-income housing complex for people with disabilities in Muscatine, opens after ResCare secures Low Income Housing Tax Credits from the then Iowa Finance Authority and Iowa Department of Economic Development. Jackson Point, an 18-unit low-income housing complex for people with disabilities in Jefferson County, opens after ResCare secures Low Income Housing Tax Credits from the then Iowa Finance Authority and Iowa Department of Economic Development. ResCare begins providing community-based services in Iowa County. ResCare takes over management of 34 apartment units in Bloomfield and Ottumwa. ResCare begins managing Muscatine County’s residential care facility and providing community based services in that county. The facility is closed in 2006 to allow customers greater community integration. Fulliam and Tanglefoot properties, both Section 811 housing in Muscatine, begin operating under ResCare. ResCare begins providing children’s home and community based services in Central Iowa and expands into other service areas. In conjunction with the closing of the Lee County’s facility, ResCare begins development of Lincoln Ridge, a 16-unit affordable housing project in Keokuk with intensive services for those with mental illness. The Central Iowa Region expands its footprint to include additional counties. ResCare begins providing peer support services through the Hope Center in Des Moines and, later, in other service areas. ResCare begins providing intensive psychiatric rehabilitation as one of the first eight providers accredited in Iowa. ResCare builds and begins managing Woodridge Apartments, a 24-unit affordable housing project in Washington. ResCare acquires Des Moines County’s residential care facility. It discontinued management in 2007 to focus on providing community based services. Rescare begins providing community services in Central Iowa. ResCare is designated the community mental health provider for Henry and Jefferson counties, in addition to Des Moines, Louisa, Lee, Van Buren and Muscatine counties. ResCare begins managing facility-based services and providing community services in Lee County. The facility closed in 2001 to move customers to community-based living with ResCare supports. ResCare opens the Davis Center in Bloomfield, Iowa, making it Iowa’s first community-based intermediate care facility for the elderly with severe and persistent mental illness. Iowa accredits ResCare as a mental health provider and the company begins operation of mental health centers. ResCare expands ownership of the company to include employee stockholders. ResCare begins providing residential care for persons with a mental illness at Highland Place in Wapello County. It ceased management of the facility in 1997. ResCare begins providing supported employment services through Supporting the Employment Process (STEP). ResCare receives accreditation to provide home and community based services and expands its services for those with intellectual disabilities in Southern and Southeastern Iowa, making it one of the largest providers in the state. ResCare expands supported community living services in response to growing needs. It begins building and buying affordable housing throughout Southeast Iowa to provide persons being served in the community with decent, safe and affordable housing. ResCare begins managing the Davis County residential care facility. ResCare later turned the facility into a specialized nursing home for the elderly with severe and persistent mental illness. ResCare begins managing the Washington County residential care facility. It closed the facility in 2006 to allow people to move to community-based living. ResCare begins providing supported community living services in Jefferson, Wapello and Washington counties to offer more independent living opportunities in the community. ResCare begins operations by winning contracts to manage the Jefferson and Wapello counties residential care facilities. The company discontinued operations of the Wapello County facility in 1997 and the Jefferson County facility in 2006. ResCare Inc. is founded by John Kuster and Harvey Hensley to provide disability and health care services in Iowa.